Flights are usually booked weeks in advance, but a nasty cold can pop up just days, hours or even moments before your flight takes off. Flying with a cold can make the entire experience of flying feel completely terrible. The change in air pressure can make any blockage in your sinuses feel really painful and the dehydrating effects of flying will just make you feel more run down and congested. I have learned a few tricks over the years, so I put together a list of tips if you catch a cold before your next flight. 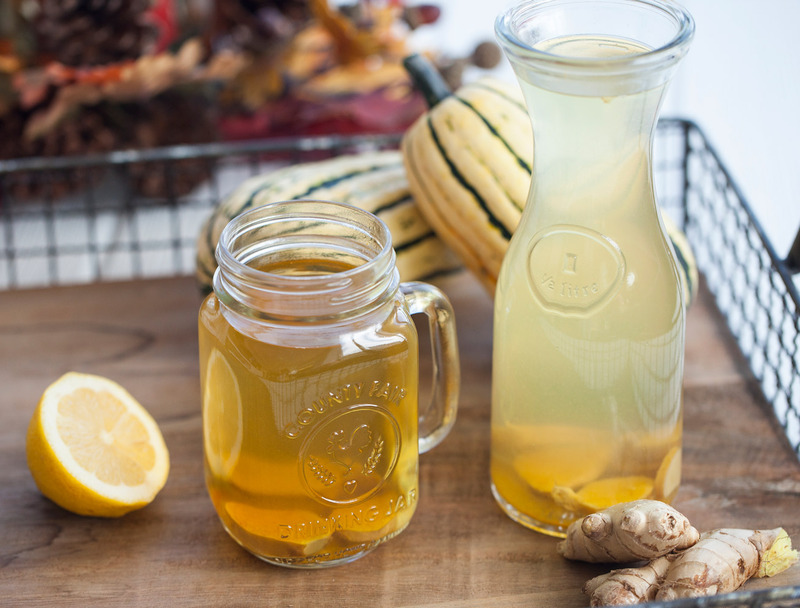 Skip the glass of wine when you’re under the weather and opt for room temperature water with lemon or tea with honey. I usually just pack my own organic teas along with a small hotel-sized jars of honey in a ziplock bag. Honey, especially Manuka honey, is soothing and also has antibacterial infection-fighting properties. Despite popular belief, science is not conclusive on the efficacy of these popular supplements. There is some evidence that Vitamin C and Echinacea may help prevent a cold, but you must be taking these BEFORE you get sick. Once you are already sick, these supplements will most likely have no effect. It might be difficult to sleep when your not feeling well, but try as hard as you can to take the flight as downtime. Use an eye mask, turn on some calming tunes and get as much rest as you can. Your body repairs itself while you are asleep and it is also an important tool for immune function. If I am coughing like a crazy person, I usually take a NyQuil which eases me into sleep and I won’t up coughing the entire plane ride. This is an absolutely essential item if you have a scratchy throat. Traditional Medicinals Throat Coat tea contains licorice root, slippery elm and cherry bark and instantly soothes your throat. Cough drops are a wonderful tool to soothe your throat and also to keep you from coughing on your neighbor, but a lot of them are high in sugar (which is actually detrimental to colds), so be careful. Cough drops with naturally soothing honey, lemon and ginger are the best. I am in love with these Organic Manuka honey and ginger lozenges. Saline Nasal Spray is a safe way to decongest blocked sinuses. I like to this Organic, Non-GMO option specifically on the airplane since it also has a humidifying effect, which counterbalances the effects of the dry airplane air. I always bring one of my LV scarfs to wrap around my neck on the flights. The air conditioning is usually turned on to full blast on the flight and it’s important to stay warm, especially when fighting a cold. If you are like me and your feet are always freezing, then you will love these toe warmers. You might have used them in your ski boots but trust me, bring these on the plane. I buy a large pack from amazon and leave a few in all of my luggages. Having warm feet will warm up your whole body. There is nothing worse than feeling cold when you are sick. When your ears are congested, it can make the ear popping caused by change in air pressure that much worse. Try using Ear Planes, special ear plugs for people with sensitive ears. These ear plugs came to my rescue a few years ago when I had the absolute worst cold. When you land at your destination try to go for a steam and relax with a massage – saunas can be a great way to unblock your sinuses. Don’t push yourself to exercise when you’re under the weather. Trust me on this one. I was always the girl in the Pilates class blowing my nose, coughing and getting all the dirty looks from my fellow classmates. Last year, my instructor actually told me that I should be resting at home while I thought “this is only a Pilates class, not like I’m sprinting at Barry’s Bootcamp, lol.” Just an hour later, I felt so much worse. LESSON LEARNED – REST, REST, AND REST. It’s the only way to get better! Really enjoyed this website for its strait forward answer. The design of the website on the phone is also applied well with no pop up ads or strange tight spacing.